1. Gunnar Nygren & Elena Degtereva (2012). Russian and Swedish Journalists: Professional roles, ideals and daily reality. Journalism Practice, Volume 6, Issue 5-6, Routledge. 2. Journalism in Russia, Poland and Sweden – traditions, cultures and research / Ed. by Gunnar Nygren (ed.). Stockholm, Södertörns University, 2012. 3. Dobek-Ostrowska, Bogusława; Barczyszyn, Paulina; Michel, Adam (2013). Zmiana w dziennikarstwie. Kultura zawodowa polskich dziennikarzy (badania ilościowe). 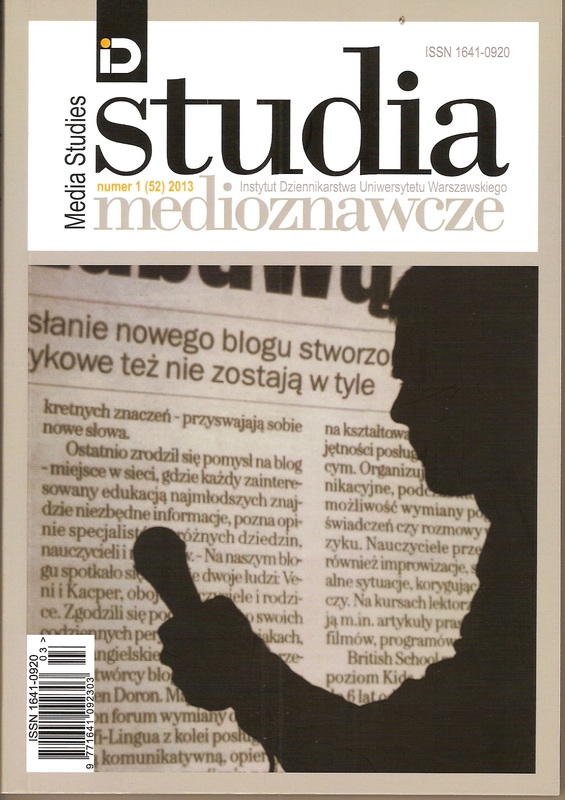 Media Studies No 1 (52) Instytut Dziennikarstwa Universytetu Warszawskiego. 4. Journalists in Three Media Systems. Polish, Russian and Swedish journalists about values and ideals, daily practice and the future (2013) Journalism Faculty Lomonosov Moscow State University. 5. Appelberg, Jonas; Johansson, Elena; Nygren, Gunnar; Baranowski, Pawel (2014). Social media in professional work of Polish, Russian and Swedish journalists. Journal of Print and Media Technology Research, Vol. 3, No 2, IARIGAI. 6. Johansson, Elena; Nygren, Gunnar (2014). Russian journalists and social media: updated traditions and new challenges. Central European Journal of Communications. Vol. 7, No 2. 7. Johansson, Elena (2014). Blogging in Russia: The blog platform LiveJournal as a professional tool for Russian journalists. Baltic Worlds, Vol. VII, No 2-3. 8. Nygren, Gunnar; Dobek-Ostrowska, Boguslawa; Anikina Maria (2015). Professional autonomy Challenges and Opportunities in Poland, Russia and Sweden. Nordicom Review, Vol. 36 No 2. 9. Journalism in Change. Journalistic Culture in Poland, Russia and Sweden / Ed. by Gunnar Nygren and Boguslawa Dobek-Ostrowska (eds.). Peter Lang, 2015. Copyright © Journalism in Change.